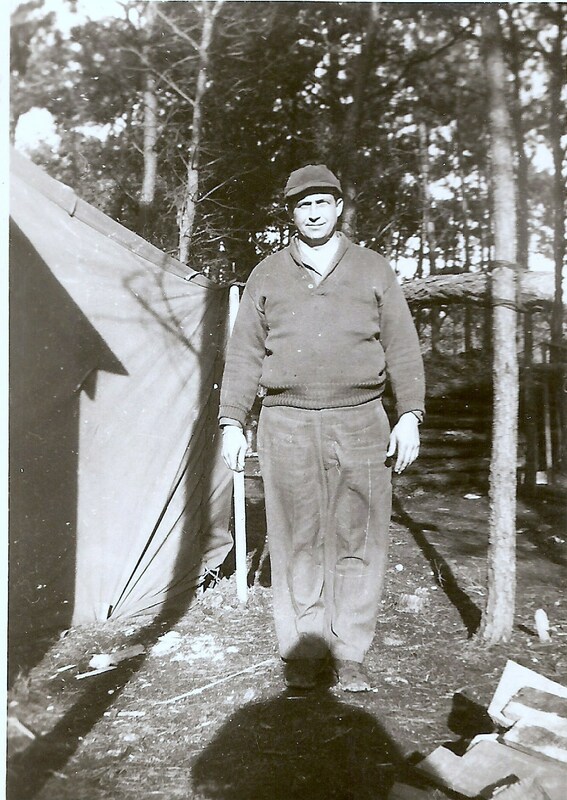 March 1951. 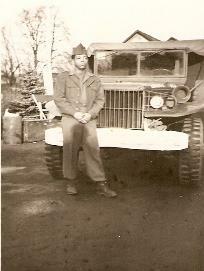 Thanks to his nephew Tom for sending in the photos. 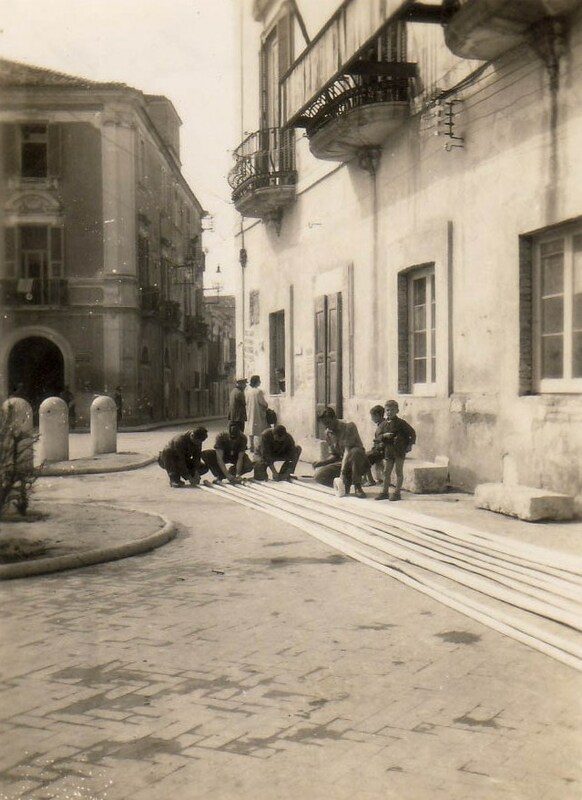 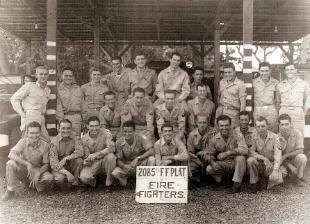 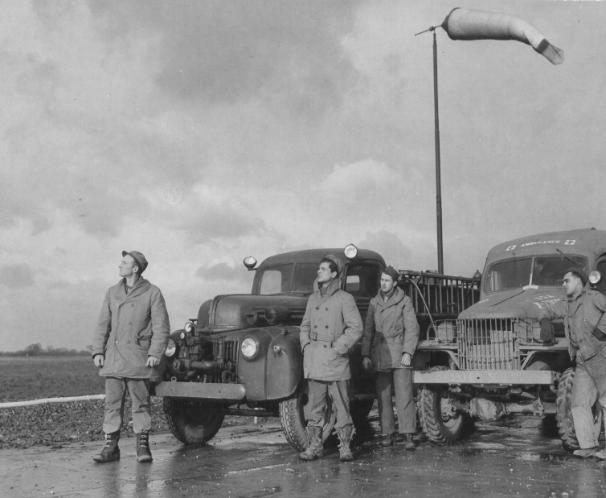 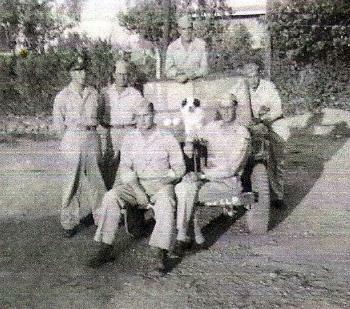 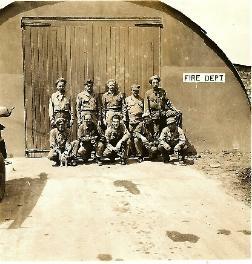 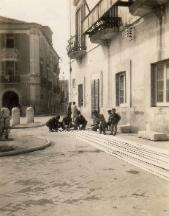 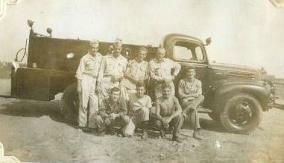 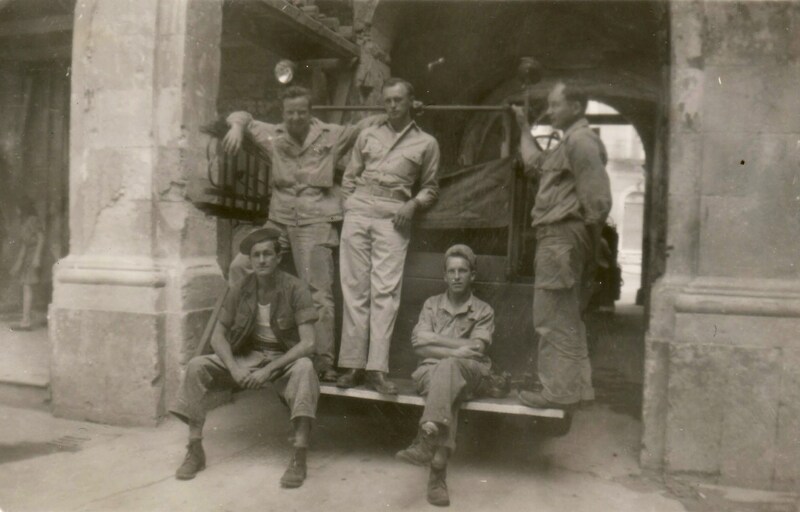 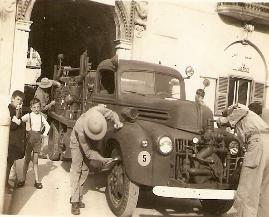 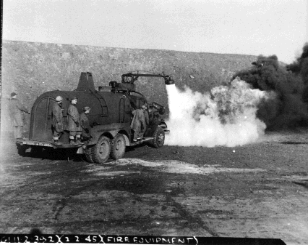 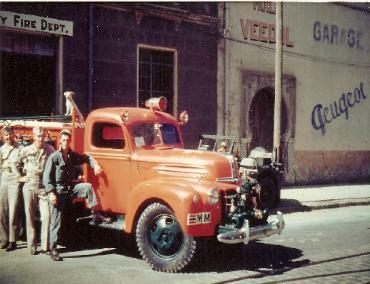 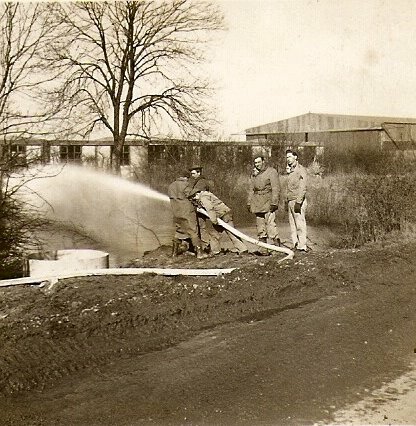 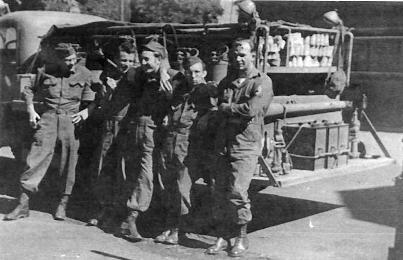 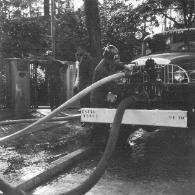 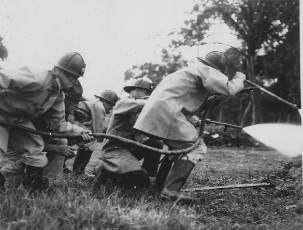 Aviation Fire Fighting Platoon pictured in North Africa. inspecting their newly delivered Class 325 fire trucks. 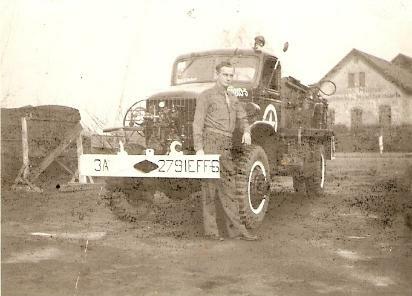 Thanks to Jim Davis for use of his photos. 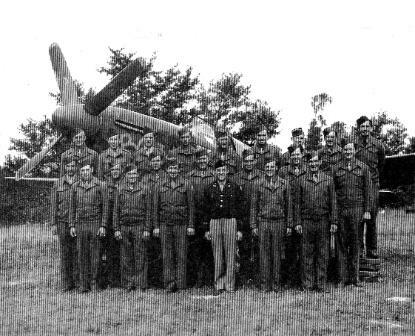 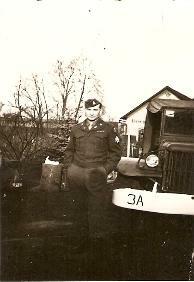 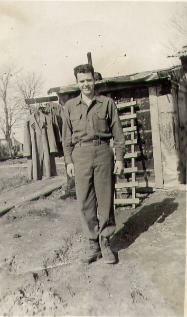 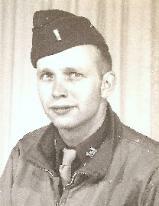 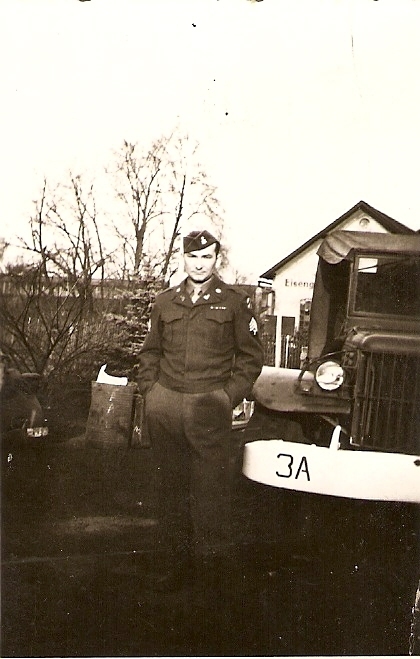 was stationed at Thorpe Abbotts, England from April 44 - December 44 and assigned to the 8th Army Air Force. Unlike many FFPs, this unit appears to have been issued turnout coats and fireman boots. 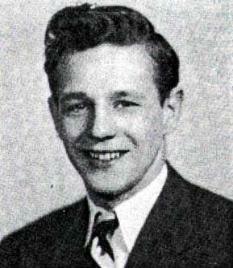 (pictured). 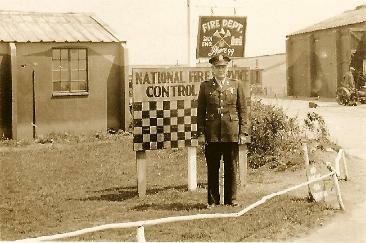 Fire fighters lived in a building next to the main base station. 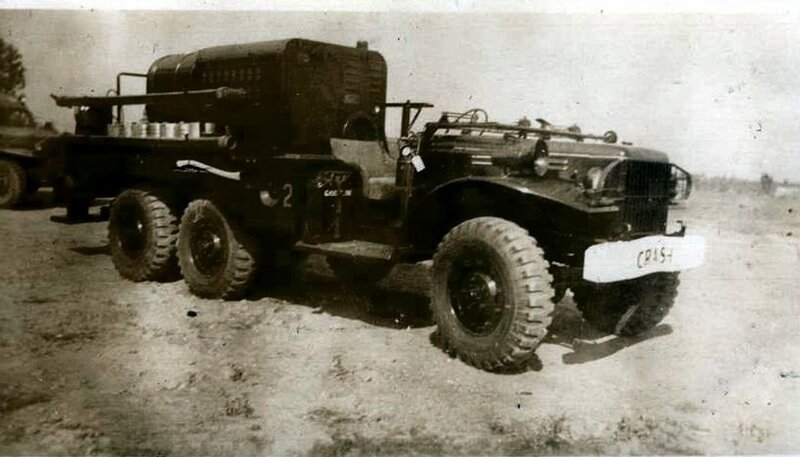 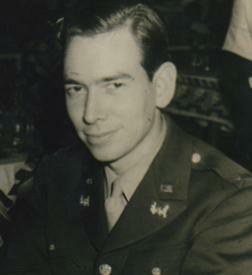 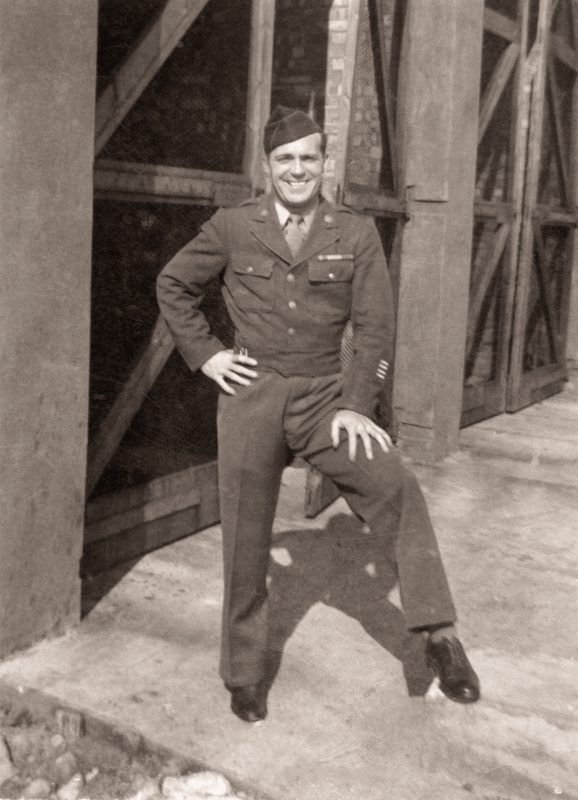 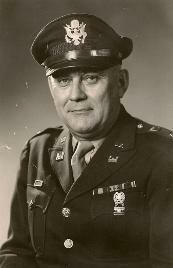 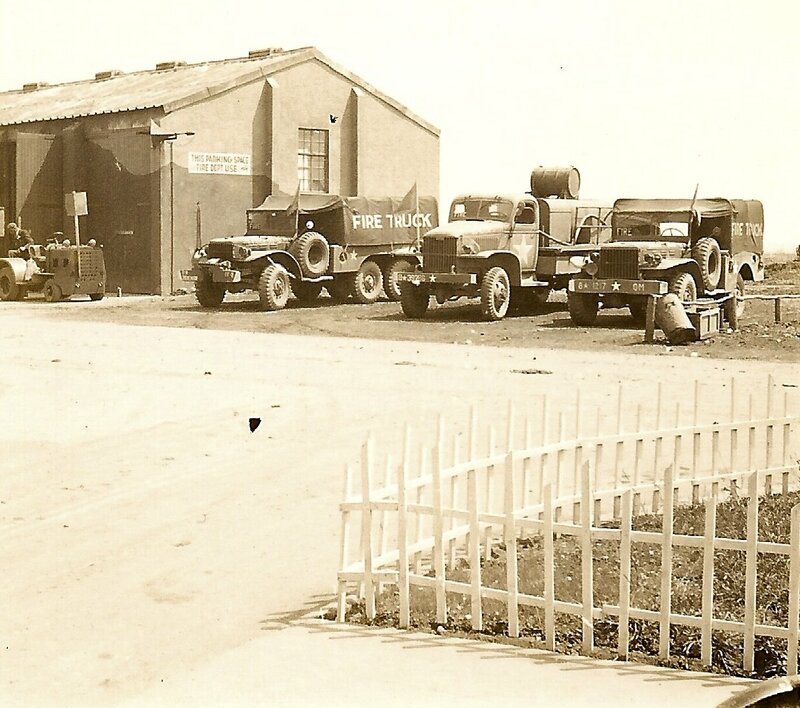 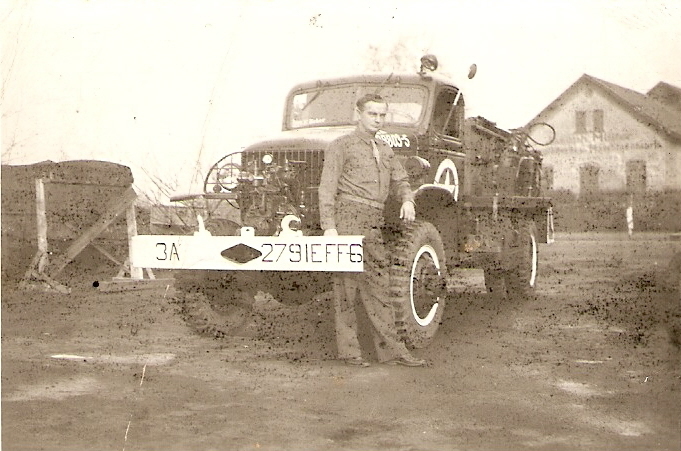 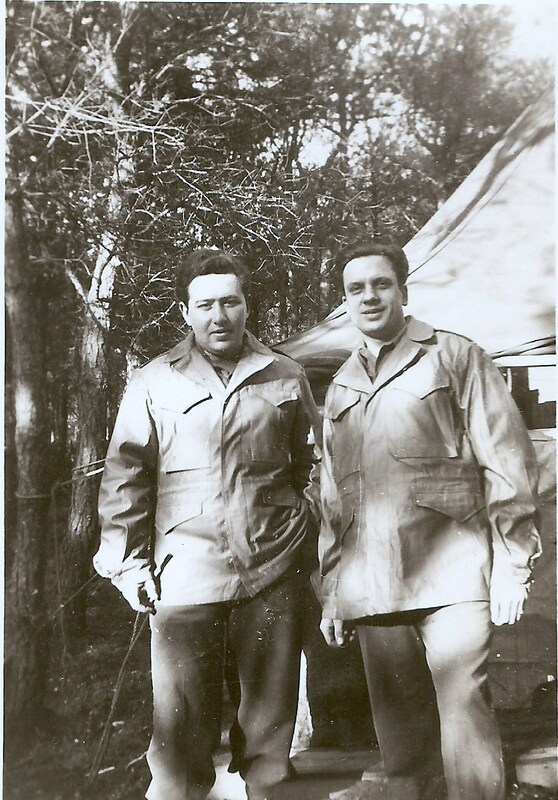 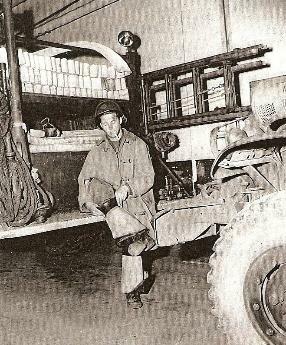 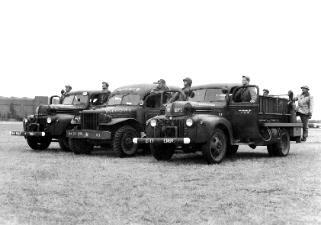 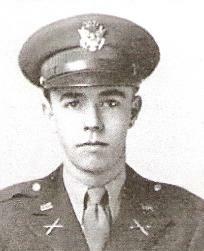 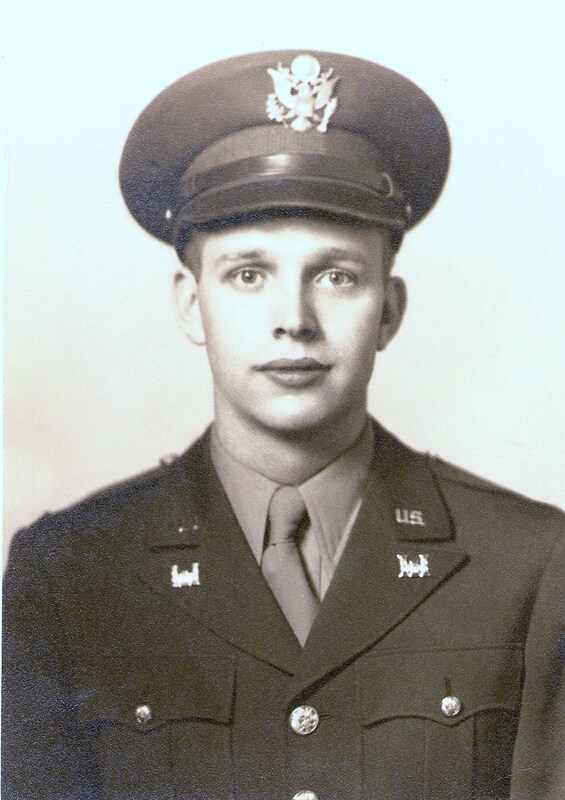 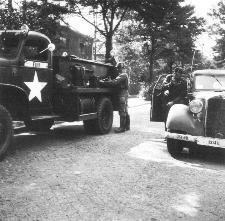 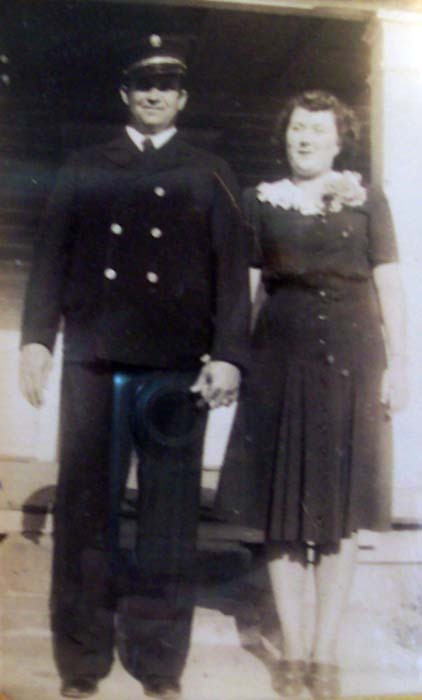 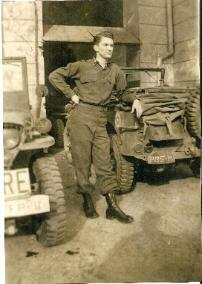 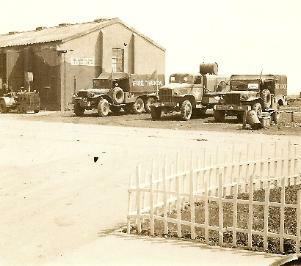 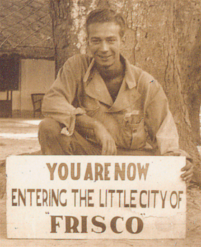 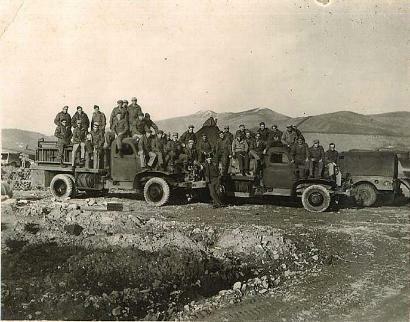 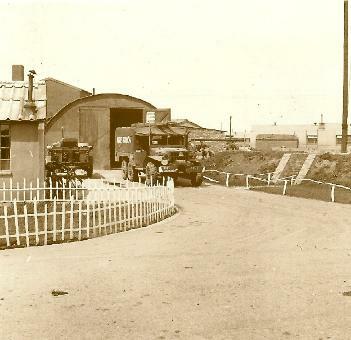 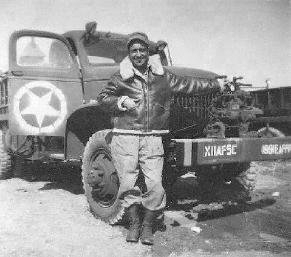 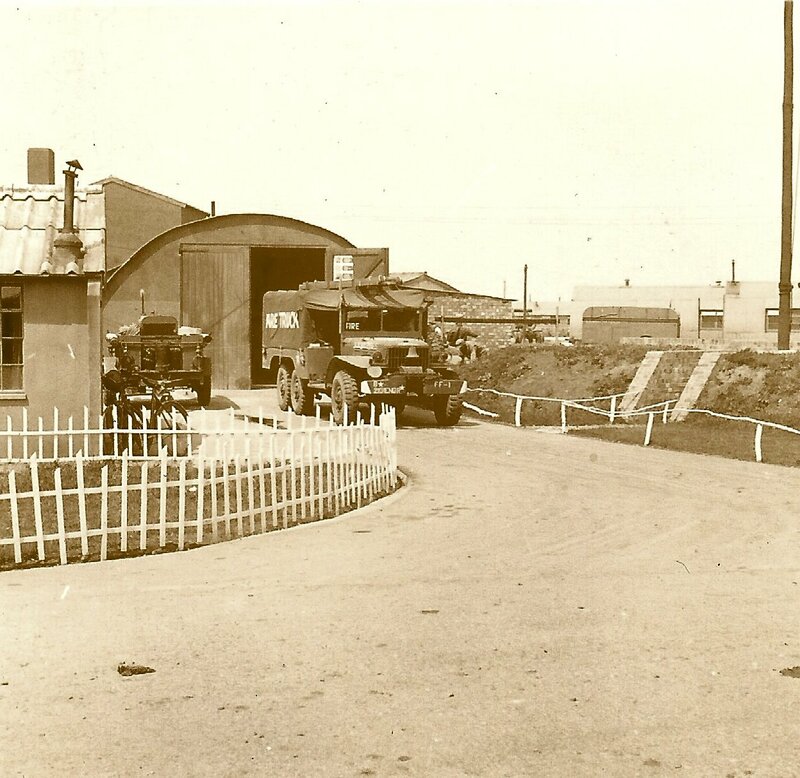 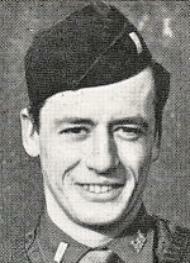 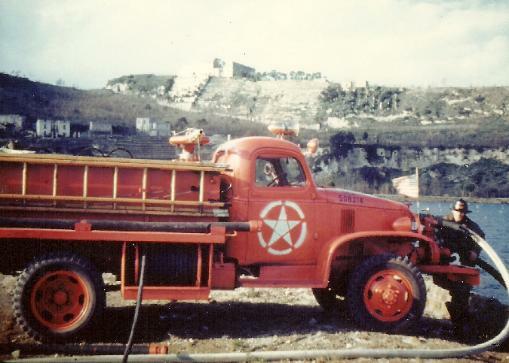 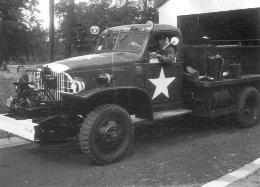 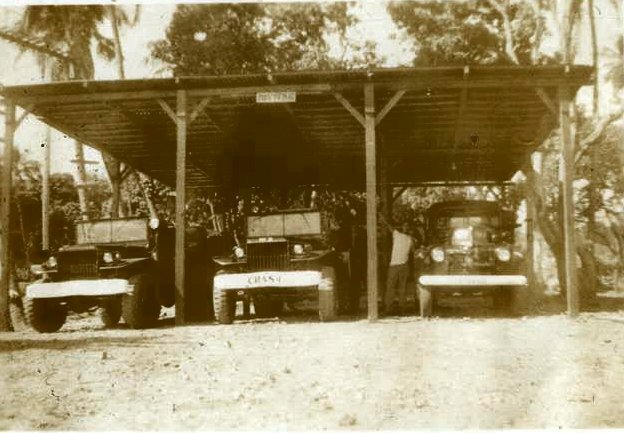 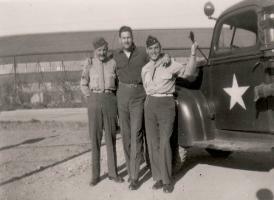 Commanding Officer was Captain Albert E.
crash trucks, USA 504426 and 504433. FDNY Firefighter before and after his service with the Army. 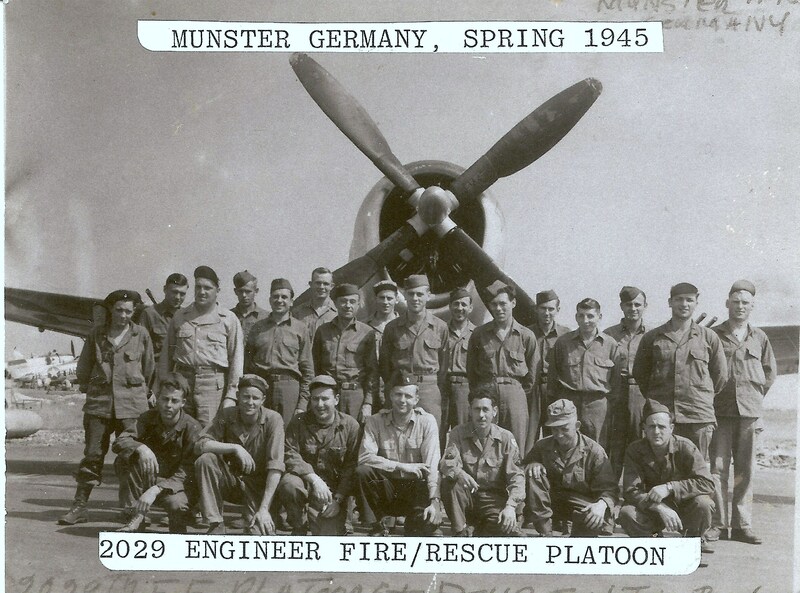 for more info on the 1216th. 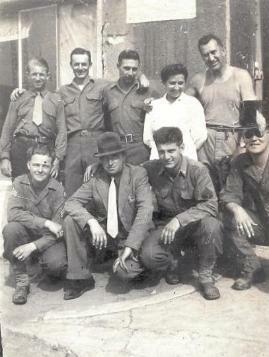 West, second from right, bottom row. 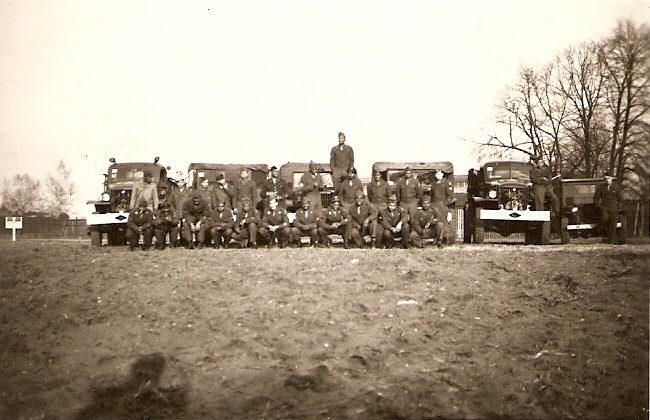 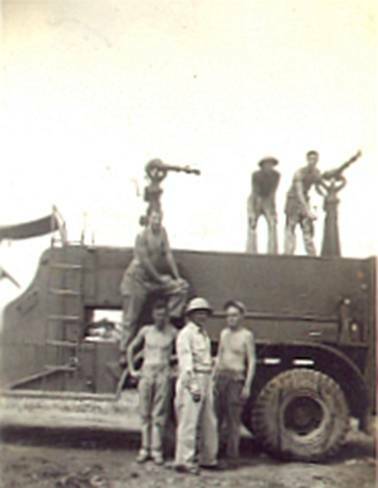 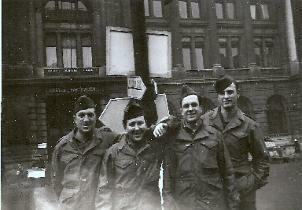 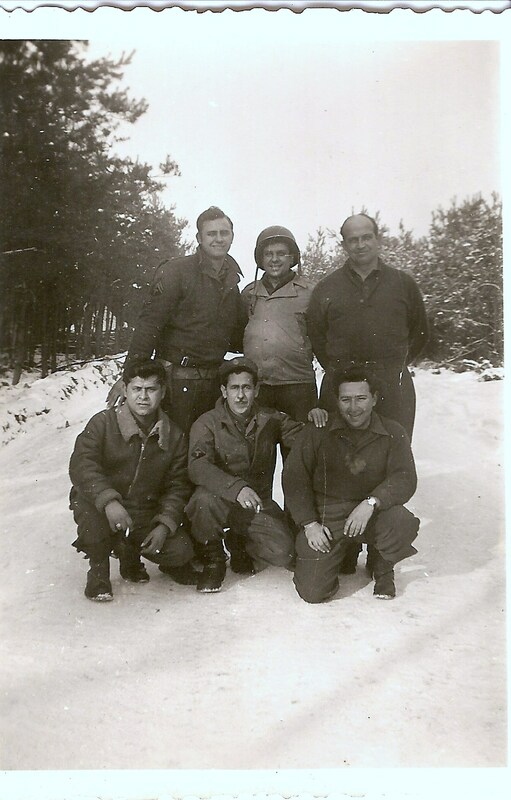 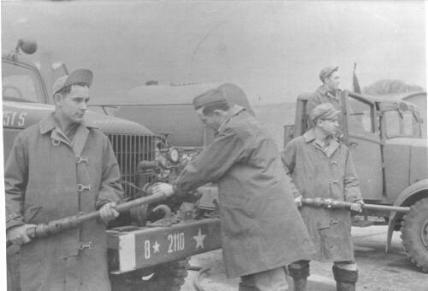 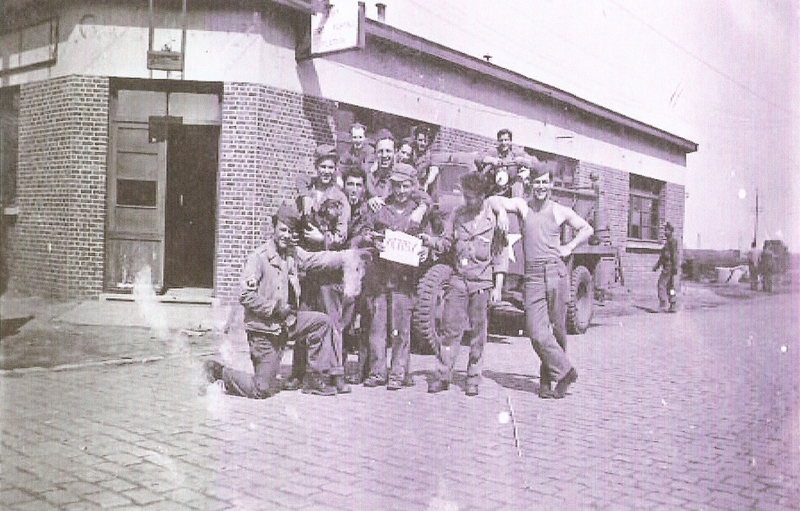 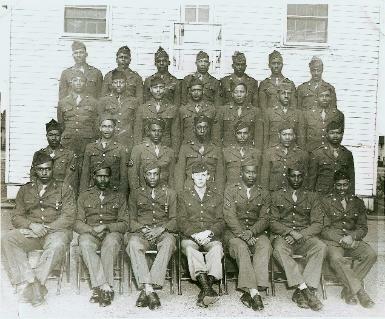 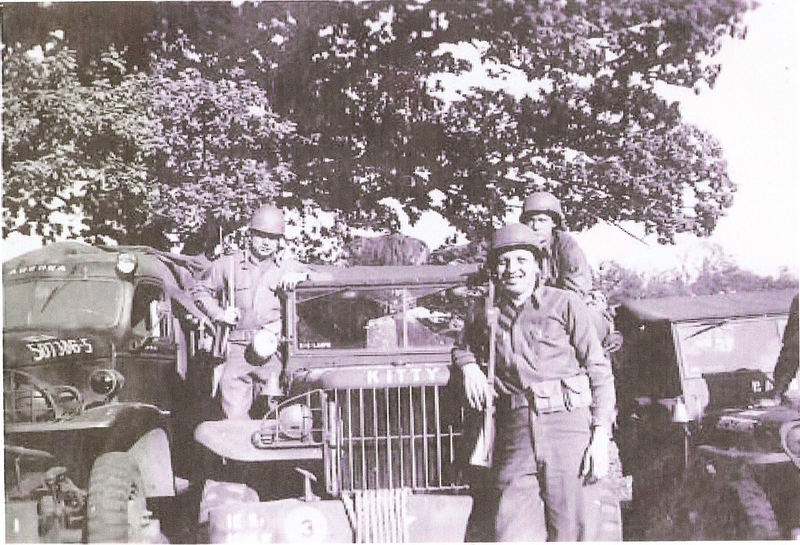 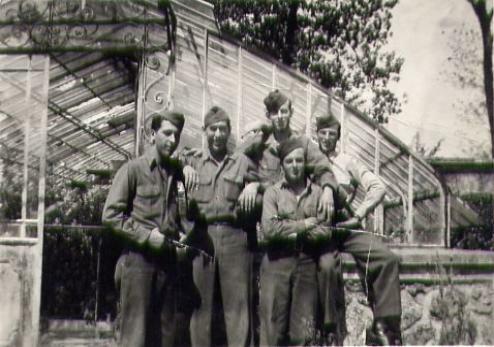 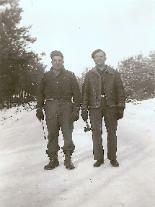 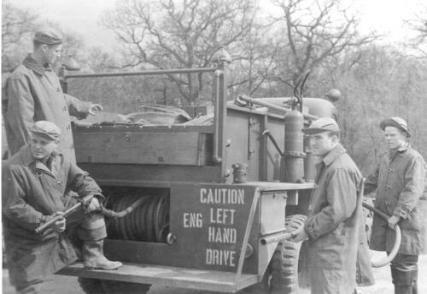 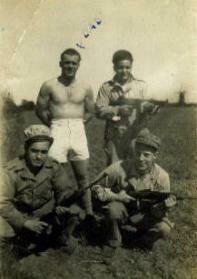 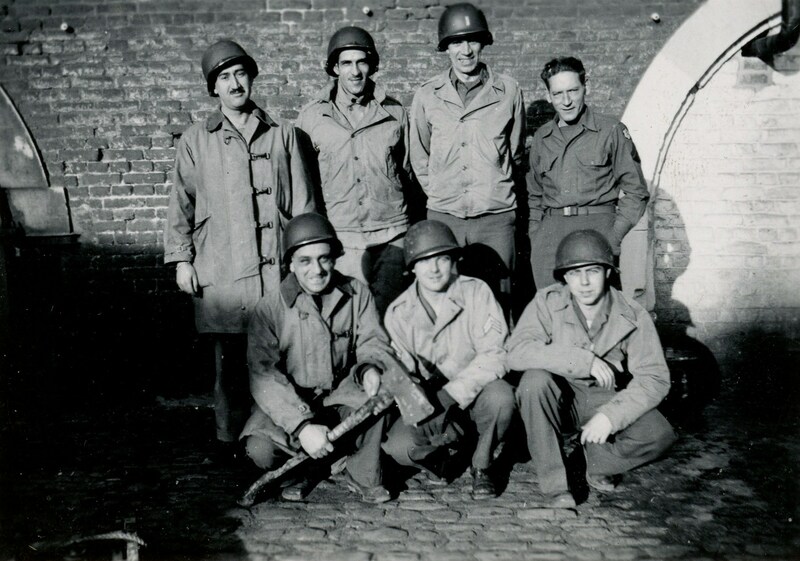 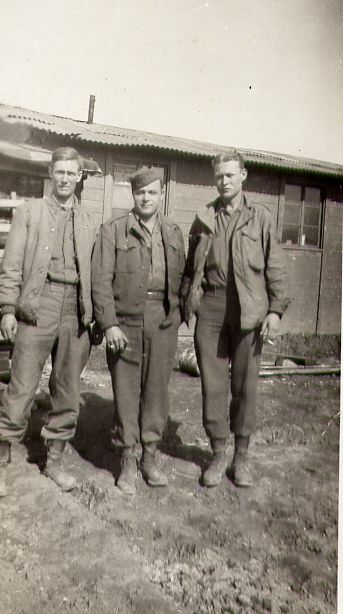 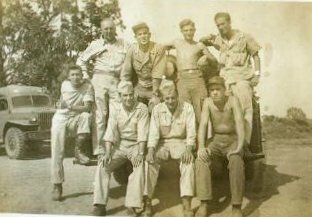 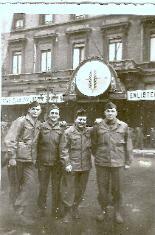 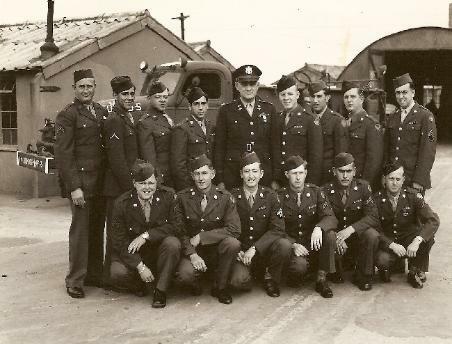 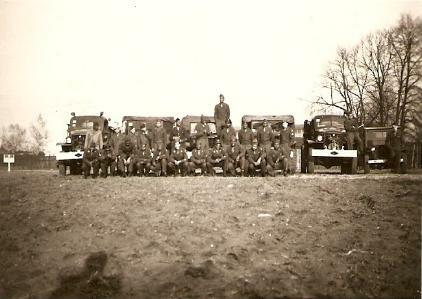 members of the 1989th EAFFP. 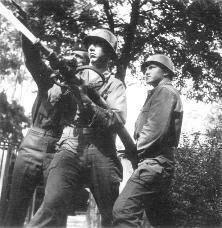 Germany, May 1945. 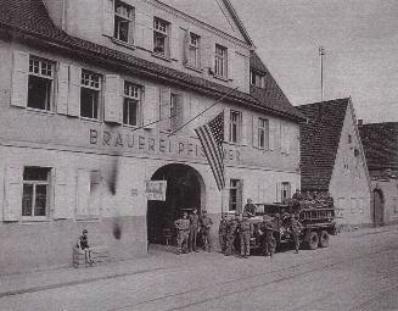 Fire Station located in old Brewery. 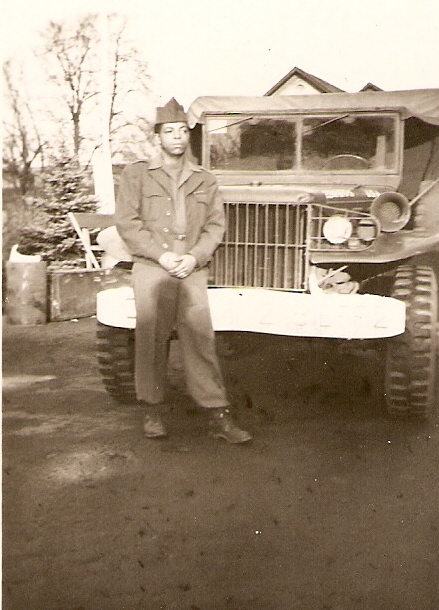 age 56 and we THANK him for his service to our country. 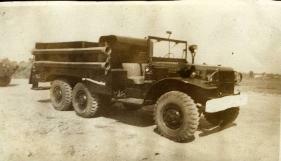 Our thanks to Lt. Croup for sending the photos along to us. album can be seen by clicking this link. 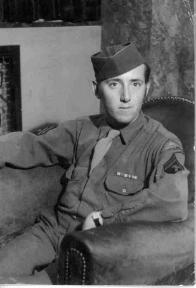 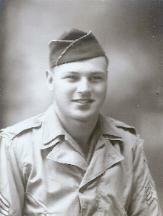 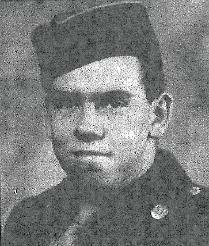 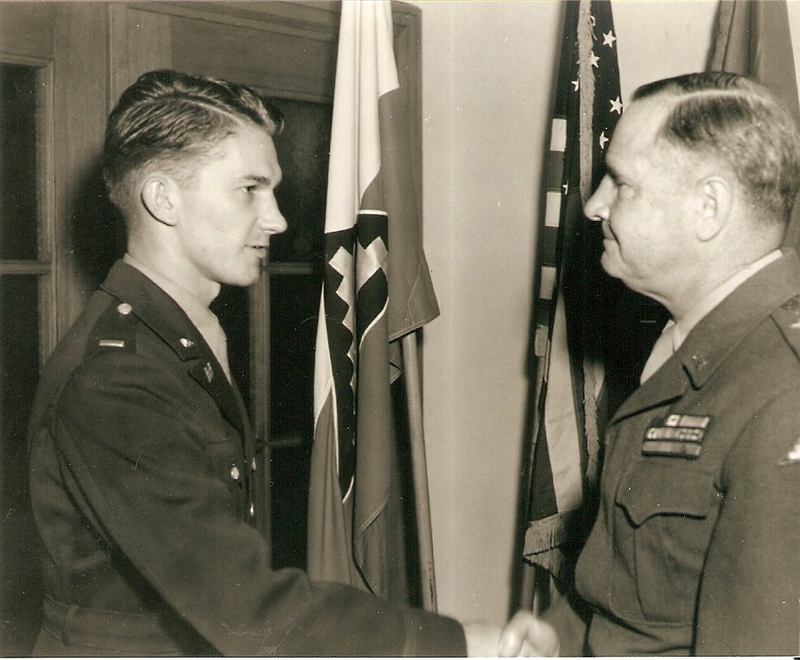 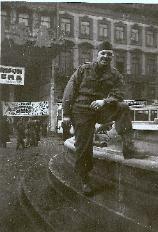 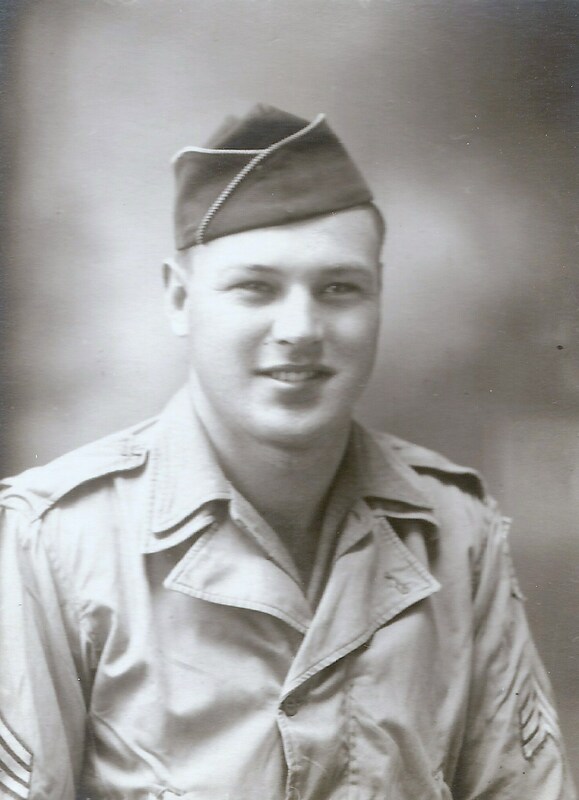 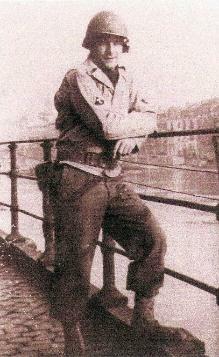 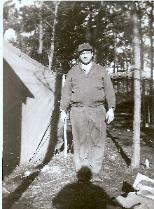 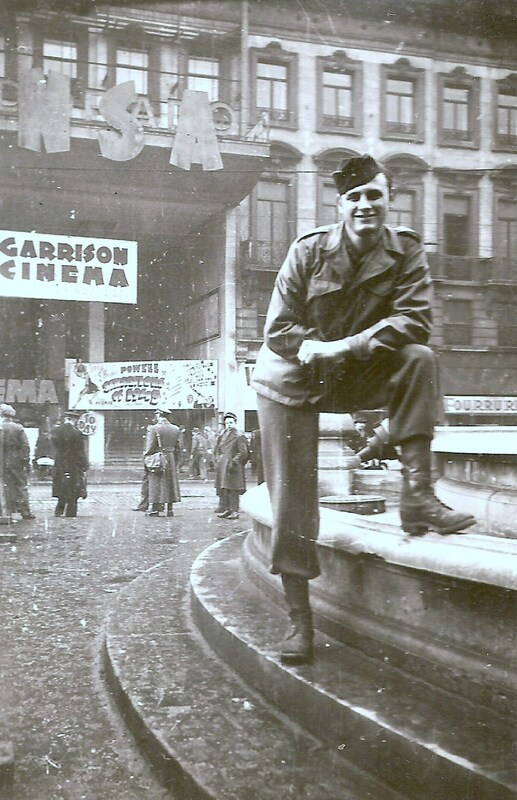 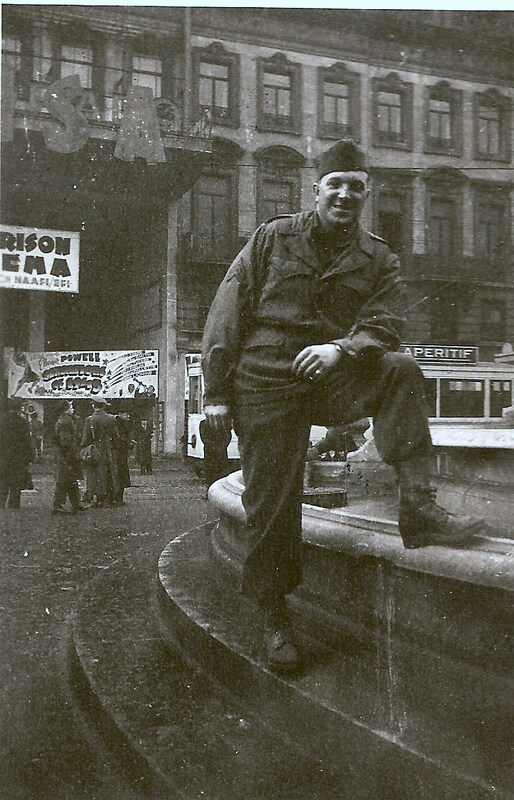 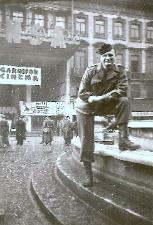 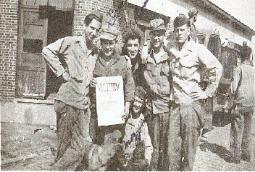 Bonze Star for his U.S. Army Service. 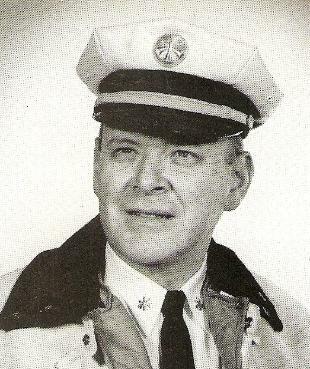 Chief Volkamer passed in October 1997. 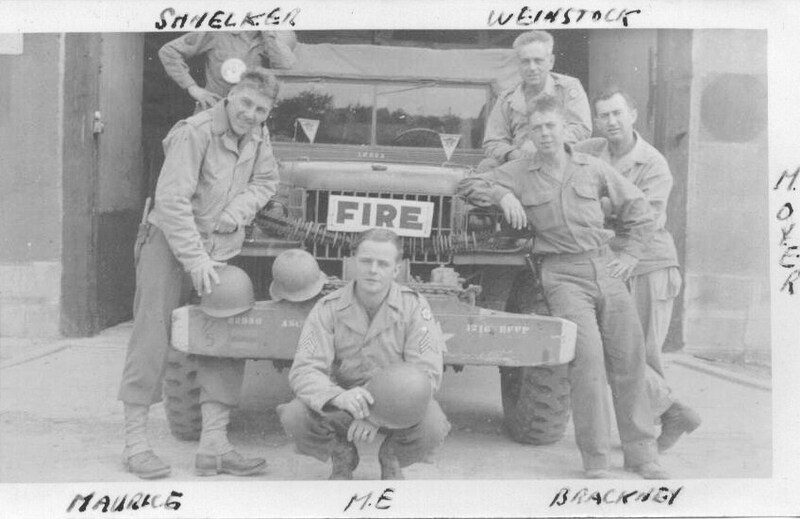 My thanks to Stephen for sending along the photos and information. 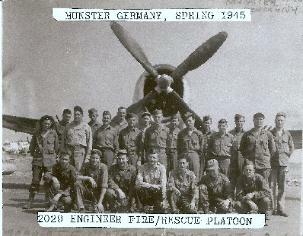 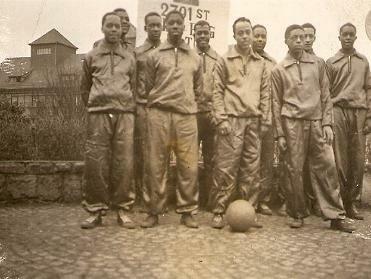 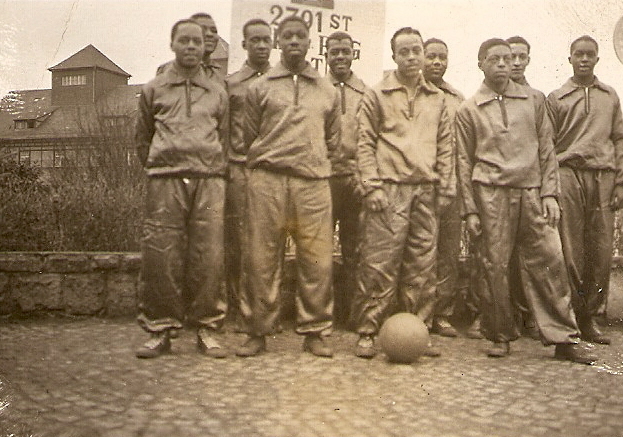 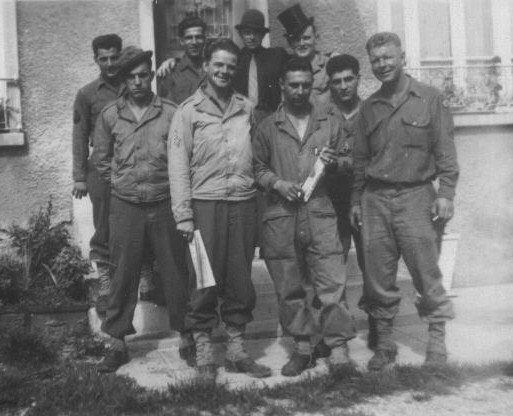 Curtis Volkamer, center, bottom row. 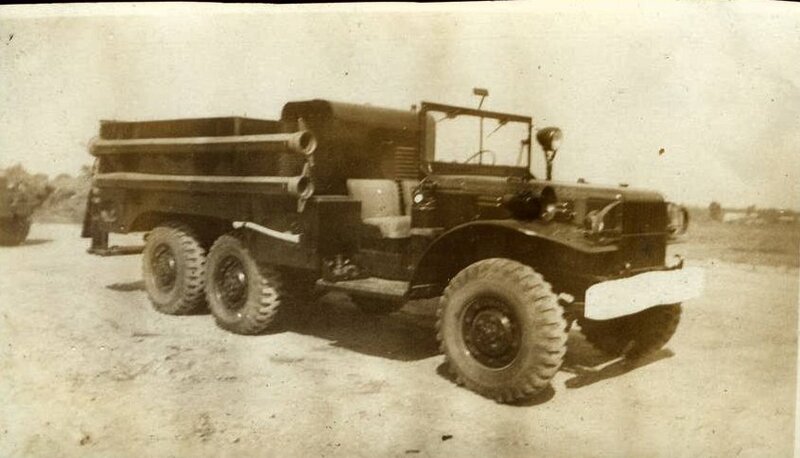 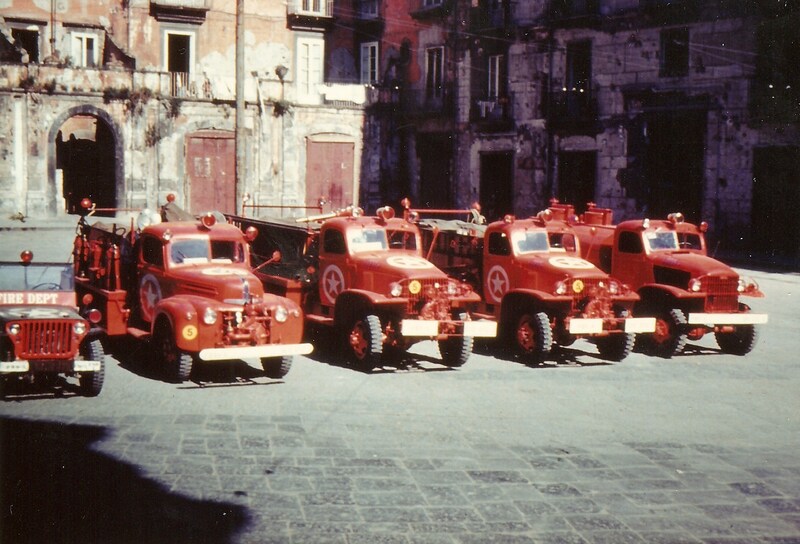 and directed the building of these Weapons Carrier Fire Trucks. 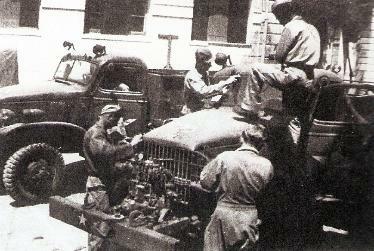 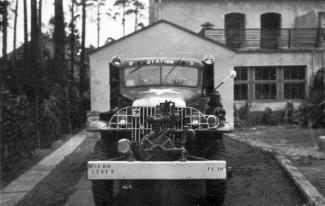 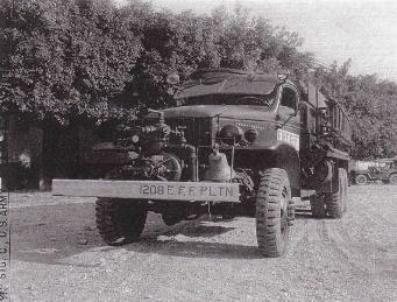 and Ford Class 135 Crash Truck. sending along these great photos from the 2085th EAFFP. 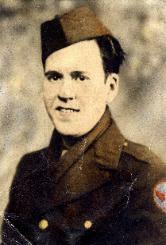 A special "Thank You" to T/5 Nolan for his service to our country during WWII. 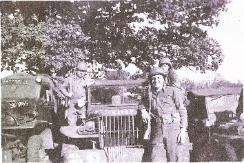 with members of the 1202nd EFFP.